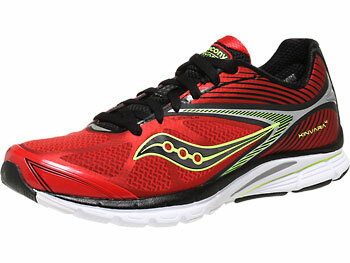 Normally an update to a shoe like the Saucony Kinvara would warrant a quick review from me. The model has historically been a personal favorite, and I look forward to trying out each new iteration. 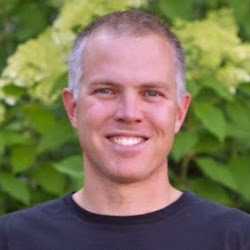 The Kinvara 5 was a great update, and on paper it seemed like changes to the v6 would be minor (upper only, same sole). 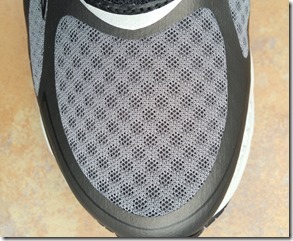 I purchased a pair of the Kinvara 6 just after they were released, but after a few times wearing them I noticed that I was getting some pressure over the base of my little toe on each side, in the region near the front of the Saucony logo on the outer side of the shoe. It was uncomfortable enough that I shelved the shoes for a few months and moved on to some other models that I was excited to try (namely the New Balance 1400 v3 and the Asics DS Racer 10). A few weeks ago I decided to give the K6 another try, but the discomfort was still there. In a last ditch effort to make them work, I swapped out the insole for a thinner one from the Nike Free 4.0, and that seemed to do the trick. The thinner insole created just enough room to relieve the pressure, and I’ve now been running in the Kinvara 6 for several weeks. There’s really not a whole lot to say here that was not already said in my review of the Kinvara 5. The sole remains unchanged, and the ride is the same that you expect from the Kinvara. It’s a lightweight shoe (7.8 oz in men’s size 9) with a semi-soft sole that can handle both speed and long distance. The heel isn’t quite as soft in the newer versions as I recall in the early Kinvaras (or compared to, say, the NB 1400), but it still works well for me now that I’ve dealt with the fit issue. The Kinvara is still a 4mm drop shoe with stack heights of 22 mm heel and 18 mm forefoot. 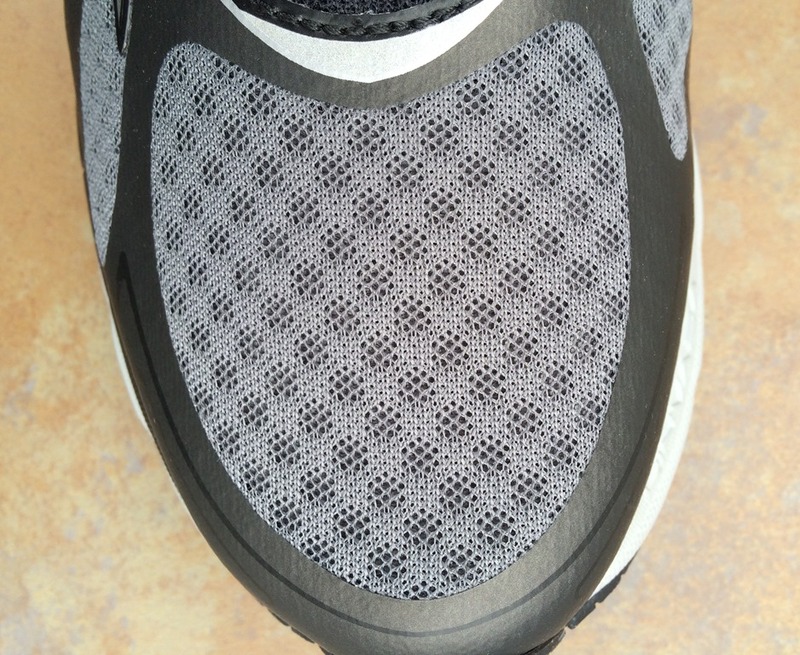 Outsole coverage is adequate for my wear pattern, though still no rubber on the outer forefoot so forefoot strikers may have durability issues with this shoe. 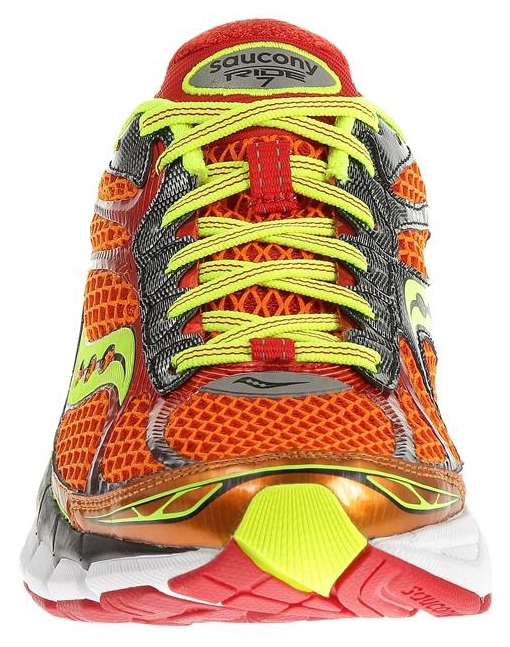 The major change in the Kinvara 6 is the upper. Gone is the somewhat baggy, thinner upper of the Kinvara 5, and in its place we have a sturdier mesh upper. Both versions rely primarily on welded overlays for support, and the K6 upper feels just a tad snugger to me (perhaps why I had trouble with pressure in the outer forefoot). The K6 retains the Pro-Lock system that wraps the midfoot, so those who did not like that addition to K5 should keep that in mind. I have no had issues with this feature in either shoe, but know that some have complained about it. I will say that I think the K6 is a better looking shoe than the K5, and it may be my favorite Kinvara based solely on appearance – credit to the design team on a job well done! Overall, the Kinvara 6 is pretty much the same shoe as Kinvara 5, hence the abbreviated review. It fits snugger, and if you have a high volume foot like me you may to create a bit more space with an insole swap, and the upper seems a bit more durable. As mentioned, the sole is the same, so ride should not differ at all. 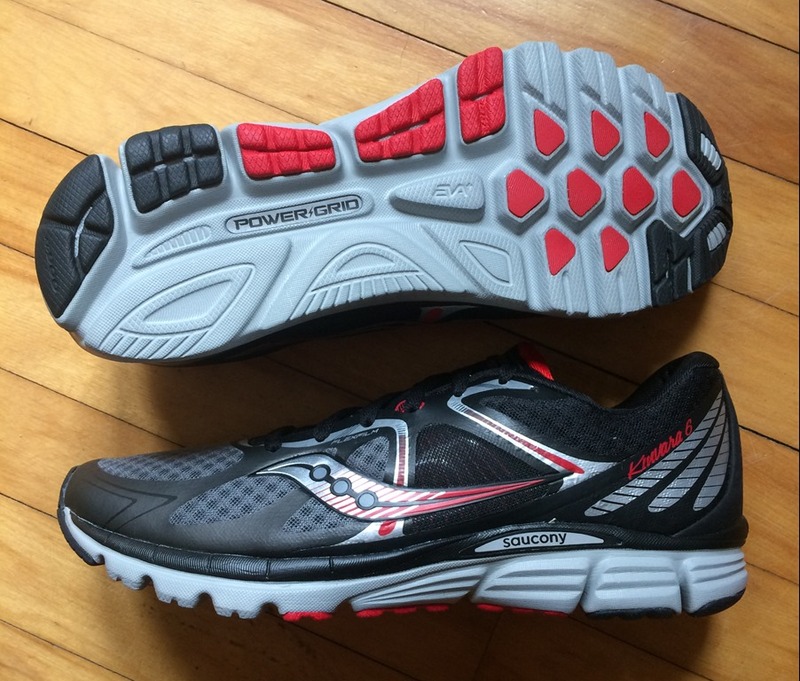 At an MSRP of $100 (though it can typically be found for less) the Kinvara remains one of my top recommendations for an all-around shoe at a reasonable price. 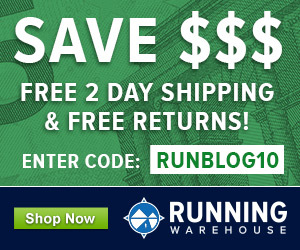 The Saucony Kinvara 6 is available for purchase at Running Warehouse US, Running Warehouse EU, and Running Warehouse Australia. 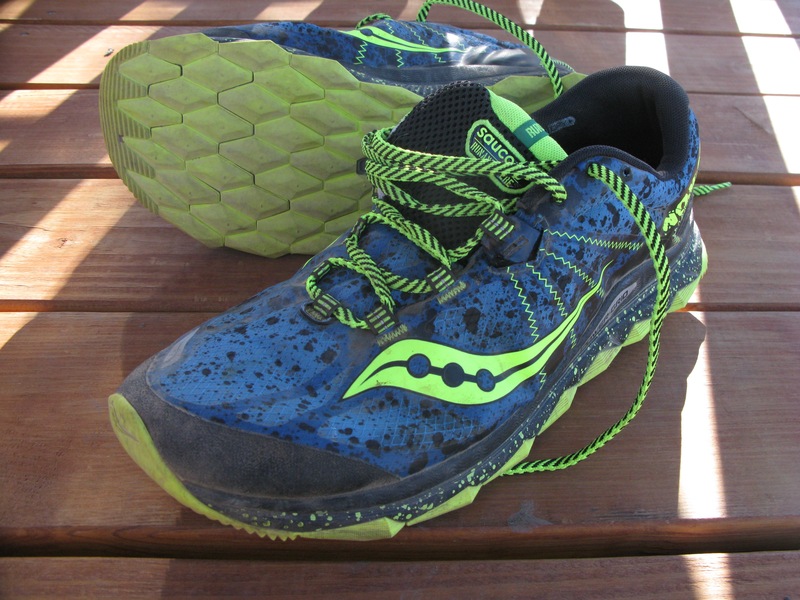 For another take on the Kinvara 6, check out this review over at Believe in the Run. Thanks for all you do, I still enjoy reading all your entries. I know it has gotten to be overwhelming at times so I just wanted to say thanks! With that being said, I loved the K5 fit but hated the K4 and thought it was too narrow. Is the K6 as narrow as the K4? Thanks Eric! No, the K6 is not as narrow as the 4, just a bit lower volume above the little toe than the K5. Thinner insole and I was all set. I was looking forward to trying the 6, but I’ll probably have an issue with it being too snug like you did. Maybe I’ll go with a discounted 5 instead. Kinvara 5 was great. I am little confused about the 6 one. How Kinvara 6 is getting some pressure over the base? Design team are really do a great work. They do a well done job. I’ve found lately that running in shoes with lots of support has yielded subpar results. It feels as though I am oft-injured with non-minimalist shoes or stability shoes. My mileage has increased and my injuries have decreased while the weight of my shoes have decreased. I tend to be a Nike guy and this holds true for Nike running shoes with too much heft. I will likely not ever do the Five Finger deal but the closer I get to shoeless, the healthier I am. Great review! I think I’ll pass on buying these. I currently run in asics gt2000s but am looking to transition to a midfoot strike.I know part of the process is focusing on your form, rather than the shoes, but mine have a fairly sizable heel. I need shoes that can be used for high intensity reps of 200m-1500m @ 4-5 min/mile and tempo runs of 5K @ <6min/mileing. I was looking at the Nike Free 5.0, but think that might have to much cushioning? Would really appreciate your input. If you like Asics, maybe try a flat like the Hyper Speed? For those paces, I’d tend to agree with the Hyperspeeds. Just set a a new 5kPR in mine this weekend! Is there anything like the Kinvara that I could use in muddier/wetter, more trail like, conditions? I don’t really want a heavy duty trail shoe with aggressive lugs, just a bit more grip and durability. Maybe the Saucony Nomad or Peregrine? Any recommendations for an insole? I’m having the same issue, but don’t have any older shoes lying around that would work. Inov-8 makes a 3mm insole, might be able to find them at Zappos, but not sure how much more space that one would give you. I love the 4s, but hate the 5s (and I own 3 pair of 5s). It looks like the 6s went back to 7 eyelets whereas the 5s only have 6. I might have to try the 6s. Any recommendation for other brands similar to the Kinvara? Cheers on the insole recommendation – here’s to hoping I can find a slim one that will work for me. I do wonder if they restored the fit with the recently released Kinvara 7 – any plan to review those soon? I wish I would have read this review before buying a new pair of Kinvara 6’s. I had a pair of 5’s and they are one of my favorite shoes. Fit was perfect. The 6’s are too tight across the top of my foot. I understand Saucony using different designs and materials, but don’t understand why they have to change the dimensions with every model change. Brooks and Nike seem to hold dimensions steadier for model to model. Frustrating.